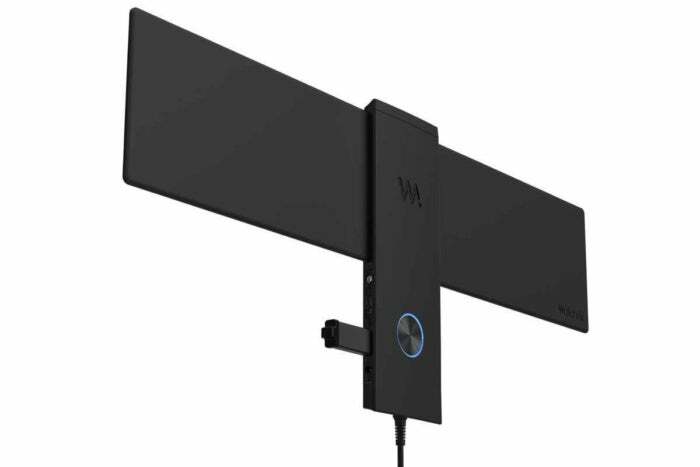 WatchAir is a wireless smart antenna to view and record locally broadcasted live television within a 60-mile range on smartphones, tablets, streaming boxes, and other devices. Remember Aereo? It was an ill-fated startup that delivered over-the-air broadcast television from a cluster of mini-antennas based in major cities. A 2014 Supreme Court ruling forced the pioneering cloud service out of business after broadcasters complained the technology infringed on their copyright, sending cord-cutters in search of other options. 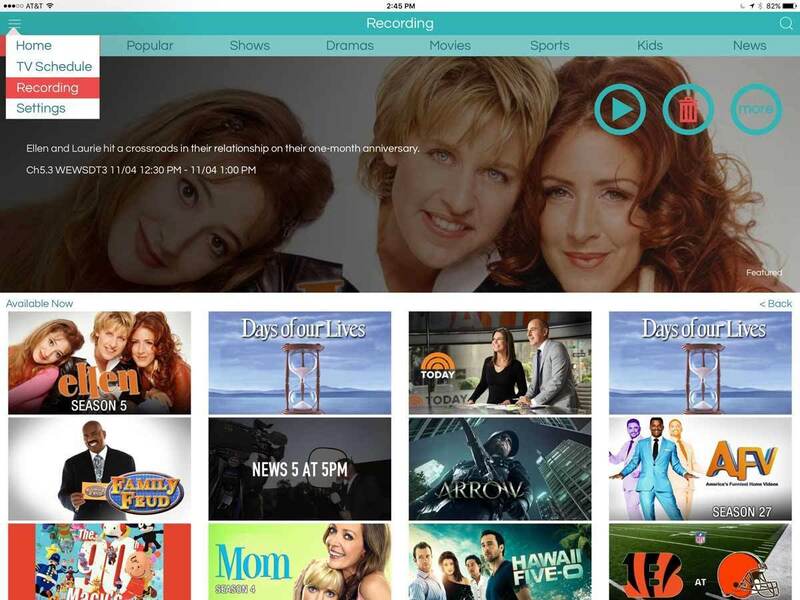 Aereo would have been ideal for me. I live an hour south of Cleveland’s major networks, far enough away that indoor antennas and portable solutions like TabletTV rarely pull in more than a few second-tier stations. So, I was intrigued when the makers of a new wireless smart antenna offered to take their product for a spin. Available in black or white, WatchAir is a thin (0.57 inches), stylish-looking HDTV indoor antenna 18.1 inches across and 3.7 inches high that attaches to a vertical base measuring 2.7 inches wide and 7.6 inches tall. 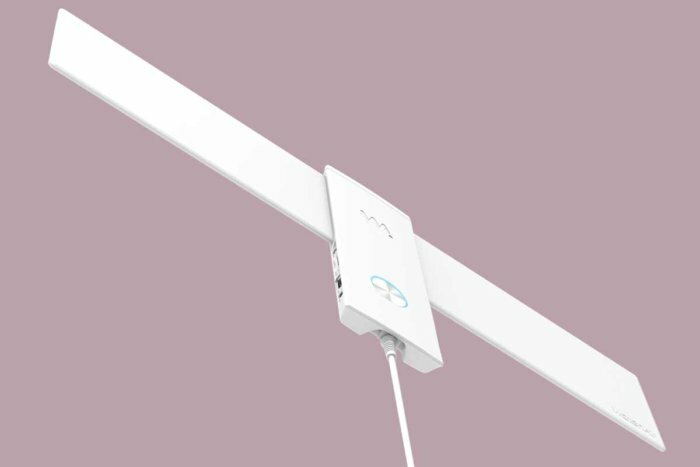 Weighing 11.1 ounces, the antenna mounts upright using included screws or 3M VHB tape, or sits flat on a table when connected to an existing external antenna. Available in white or black, WatchAir is an attractive wireless smart antenna that can be placed almost anywhere in the home. WatchAir promises 60-mile, triple-band coverage (high-band VHF, low-band VHF, UHF), requiring only AC power and an available wireless network to stream live programming to a variety of devices. Setup was a snap, thanks to the universal iOS app’s GPS-based live installation guide, which shows you exactly where to mount the antenna for best results. The WatchAir TV app for iPhone features an attractive, intuitive home screen that filters content based on category or genre. The free, universal WatchAir TV app includes an enhanced schedule guide with synopsis and artwork, as well as a home screen that sorts available content by category or genre; when a data connection isn’t available, the app instead uses a barebones text-based schedule, offering a bit of future-proofing should the parent company ever fold. 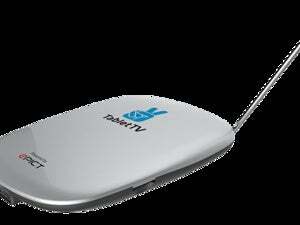 WatchAir features a single ATSC tuner capable of streaming one live broadcast, but a second user can tune in to the same channel or watch previously recorded content at the same time. As a digital video recorder, WatchAir includes 7GB of internal storage, enough for five hours of H.264-encoded video with AAC audio. By inserting a 32GB SDHC card into the base, another 25 hours of recording is possible, but there’s also a USB port to plug in a thumb stick or hard drive for even longer DVR capabilities. Picture quality is limited to 720p, so streams were never quite razor-sharp even with a strong signal, but perfectly watchable under the circumstances. I occasionally experienced issues with channels momentarily freezing or breaking up, but nothing significantly worse than what I’ve experienced with cable or satellite broadcasts. Recording TV shows with WatchAir is a snap, but scheduled recording isn’t always reliable. While testing WatchAir over a couple months, engineers worked swiftly to squash bugs, but a few remain. I had mixed success scheduling upcoming shows, which occasionally failed to record at all; the ones that did kept recording beyond the end of the show. There’s currently no way to automatically record new episodes of a show, although this feature is in the works; also in the pipeline is Live TV Everywhere, which allows WatchAir owners to stream shows outside their home network. There are still a few bugs to be worked out, but WatchAir has the potential to become the most promising product for cord-cutters since Aereo. And since you own the antenna, broadcasters won’t be able to shut this one down so easily.